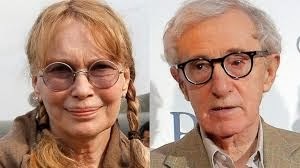 The Ostroy Report: Is Woody Allen Guilty or Innocent of Child Sexual Abuse? The facts are that the judge in the case felt that Dylan was too young to have to go through trial. Believe the judge, who found that Dylan was telling the truth, and her mother, and that there was absolutely no proof to the allegations that she being vengeful. Allen should be brought back to trial, to face what happened, now that Dylan is old enough. All the child abusers should have that happen to them, there should not be time limits on it, often it takes years for a child to be able to have the strength to face their attacker. And shifting the blame to the mother is another horrible tactic that should not be allowed. It's a systemic attack on women and children. Be on the side of women and children, not on powerful men with millions and millions of money. I loved Allen's movies. I'm going to have to consciously not watch or endorse his work again because of the horror he's done. It comes down to our own choices. And what was I thinking, anyway for 20 years, I knew better, but brushed it aside. He married his own adopted daughter, for God's sake. This is a morality tale. Simple as that. Right and wrong. And the celebrities who will still work with him after this, will not be able to run from their own nagging consiences, as will the audiences who watch.